Burleigh on The Beach, a holiday apartment building on the Gold Coast, just went through a major improvement with the addition of secondary double glazing. No more annoying traffic sounds from the Gold Coast Highway. 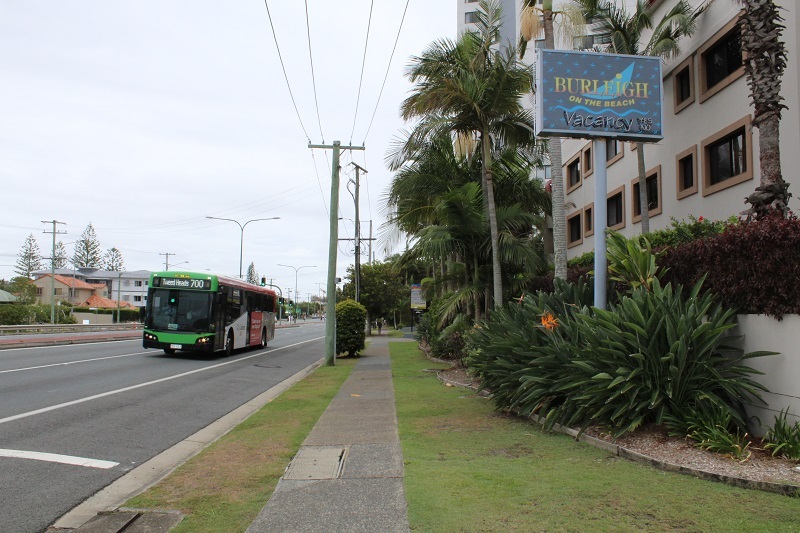 Secondary glazing was fitted to the apartments which face the constant traffic of the Gold Coast Highway. Patrons of Burleigh on the Beach were not happy with the buzz that they were hearing even when the windows were closed. The hotel contacted us to help with acoustic insulation for those apartment windows, and it has already noted a significant difference in the amount of noise transmission coming into those rooms. Fitting custom made secondary double glazed windows and doors can achieve a noise reduction of up to *80% and give you back your peace and quiet. This is especially important for holidaymakers who wouldn’t want their tranquil holiday setting mired by the buzz of constant traffic. Secondary double glazing is easily the most cost effective noise solution for the majority of situations; it’s fast, simple, and typically requires no changes to the existing window or window dressings. Besides acoustic insulation, secondary glazing also has thermal benefits protecting homes (and hotels) from the hot/cool outside weather. Using the Winseal™ system, sliding glass or hinged panels are custom-made to fit to the existing window frame. The fit is exact and provides an insulating pocket between your existing window and the Winseal™ pane. This can be opened and closed allowing access to your original window.